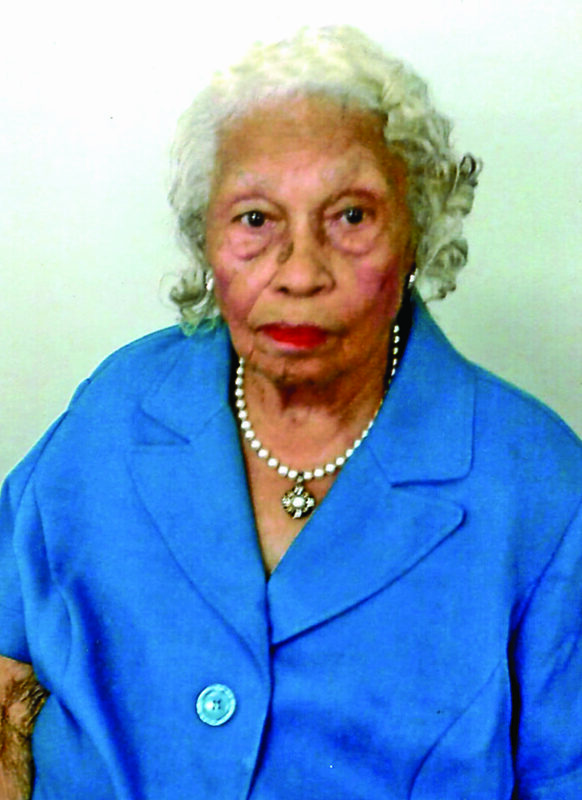 Sylvia L. Scarborough, 97, was born Aug. 8, 1921, in Natchitoches. She went to be with the Lord Feb. 6, 2019 at Rapides Medical Center in Alexandria. Family visitation will be from 4-5 pm. Sunday, Feb. 10 at Blanchard St. Denis Funeral Home. Public visitation will be from 5-8 p.m. Funeral services will be Monday, Feb. 11 at 11 a.m. in the funeral home chapel. Burial will follow at Mt. Olive Baptist Church Cemetery on Hwy 6 West. She was the daughter of the late Arthur LaCaze and Blanche Owens LaCaze. To this union six daughters and two sons were born. She married the late James Scarborough in 1940 and this union was blessed with three children. She joined and united with the Mt. Olive Baptist Church at an early age. She was preceded in death by her parents; husband; daughter, Gladys S. Woodson; four sisters, Ruth, Velma, Thelma and Vivian; two brothers, Rufus and Lee Arthur; one grandson, Huey; and one great-great granddaughter, Miracle. Left to cherish her memory are two sons, J.W. Scarborough and George Scarborough; sister, Myrtle LaCaze; aunt, Pearl LaCaze; sister-in-law, Sarah W. LaCaze; six grandchildren; 10 great-grandchildren; eight great-great grandchildren; adopted daughter, Cloretha Gay; and a host of nieces, nephews, relatives and friends. Sylvia’s favorite entrees were turnip and mustard greens with pig tails, pound cake, sweet potato pies and old fashioned hog head cheese.